simple & effective cloud-based software for vehicle fleet & rolling stock maintenance management and customer service. Keep track of maintenance information of your vehicles, rolling stock and other equipment and machinery with our cloud-based fleet maintenance solution. Our customer service & customer complaints management software helps you to manage your customer service effectively in every channel. Effective crisis communication & management in crises of all size. Ensure business continuity and stay on top of situations and tasks. We also have a solution for crisis & preparedness exercise simulation. 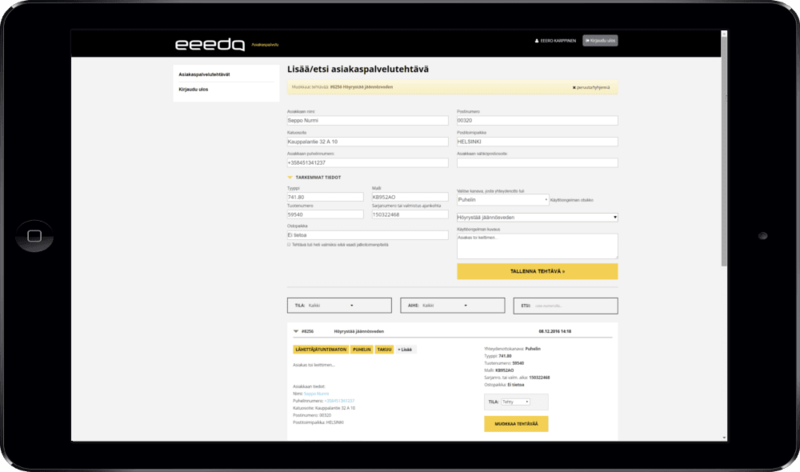 eeedo fleet maintenance management solution digitalizes the vehicle maintenance management process from reporting defects to daily maintenance operations. Prevent technical faults, reduce maintenance costs, and improve fleet availability. Our cloud-based software runs on reliable and secure ISO 27018 certificated server infrastructure in EU region. 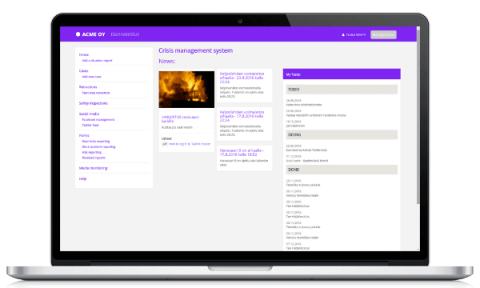 Powerful and safe way to manage corporate crisis anytime anywhere on any device. Only the relevant information for the user is displayed to secure an efficient solution for the crisis. Manage internal and external communication, situation report deliveries and task management for the crisis team and whole organization. Handle customer service tickets & customer complaints effectively with our solution. Take in cases from email, your website and social media. When additional input is needed, your customer service agents can forward tasks to the correct person in your organization. 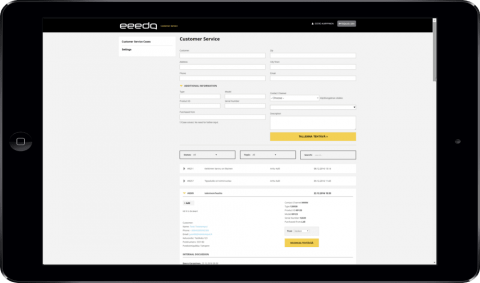 Our cloud-based software will help you to provide better & faster customer service. Handle multidimensional claim & reclamation processes with ease. Incoming claim can trigger tasks for different departments. For example, it can make separate tasks for quality and production for further inspection. OnniBus.com uses eeedo to boost internal communication within the growing bus network. With eeedo, everyone in the organization knows the current status of all projects and what should still be done. "Our eee.do intranet is already one of the most important parts of our business. Our internal communication has increased and as an owner, I can relay messages to my outside sales team easily and quickly. The tasks and the ability to assign them and see progress is really helpful. The phone app is the icing on the cake. Just great. Thanks!" The Ministry of Transport and Communications of Finland combines Finnish transport research organizations, and researcher funders. With eeedo the group increased productivity and time and place independency. Leave your email or phone number, and we’ll be in touch as soon as possible.